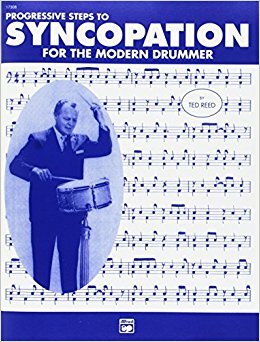 Voted Number 2 on Modern Drummer's list of 25 Greatest Ever Drum Books. Progressive Steps to Syncopation is one of the most versatile and practical works ever written for drums. Created exclusively to address syncopation, it has earned its place as a standard tool for teaching beginning drummers syncopation, developing limb independence and co-ordination, and strengthening reading skills. Performing and teaching drummers everywhere all agree you will be a better drummer as a result of using this classic!